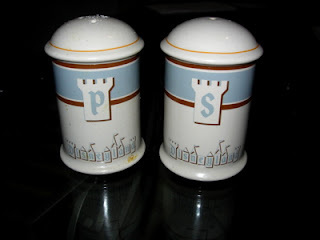 Here is a Salt and Pepper Shaker from Disneyland. I got this 2 years ago from Disneyland. This set has a "retro" look, and was special merchandise celebrating Disneyland's 50th Anniversary.